Mail and wire fraud are essentially the same crime, but they are committed through different means. 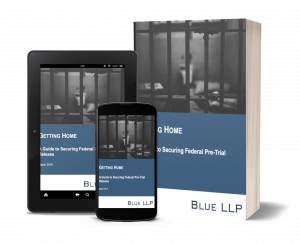 Both crimes involve the actual or attempted creation of a scheme to defraud another through the use of a postal service (mail fraud) or electronic communication (wire fraud). The fraud element of both laws have been construed broadly, and have been interpreted as simply requiring the deprivation of something of value through dishonesty or trickery. Although the fraud must be intentional, the intent can be inferred from the totality of the circumstances and does not require direct evidence. These broad, and in our view, vague constructions of what constitutes a mail and/or wire fraud crime make a federal criminal prosecution in this area extremely dangerous. The lines between civil liability and criminal wrongdoing can easily be blurred. And even worse, despite the loose statutory language, a defendant can face up to 20 years imprisonment and hefty fines. If a financial institution is the alleged victim, the maximum prison term is up to 30 years for each count, plus up to a $1 million fine. If you suspect imminent prosecution or currently are being prosecution for mail and/or wire fraud, contact us right away to see how we can help. We are experienced federal criminal defense attorneys with substantial experience with white collar crime.